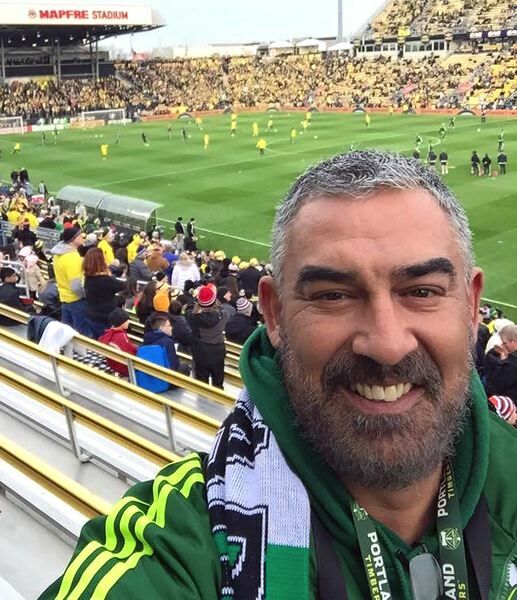 SUBMITTED PHOTO – Pantelis ‘Pondo’ Kosmas, owner of the Mad Greek Deli in the Rock Creek area of Washington County, was a dedicated Portland Timbers Fan. He died over the weekend of a brain hemorrhage at age 49. The week before his death, Pantelis “Pondo” Kosmas said his goodbyes. Whether it was a premonition or just macabre humor, only Pondo will ever know. 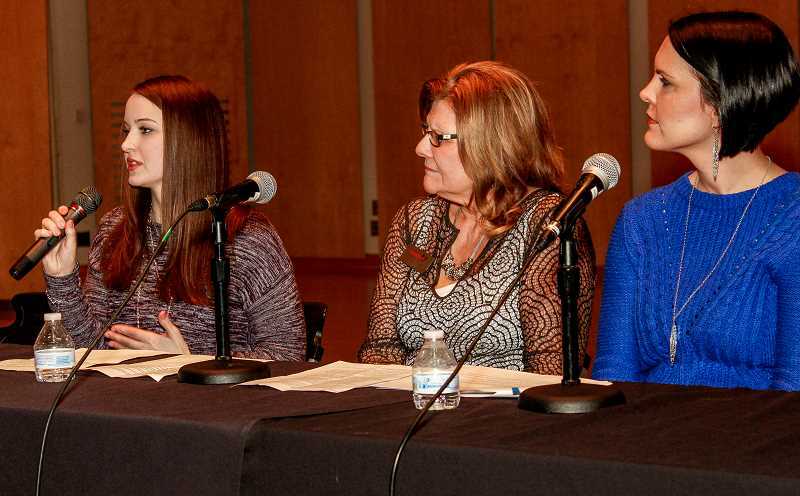 News-Times Photo: Travis Loose –– Brianna Myers (far left), subject of the trafficking awareness documentary ‘Chosen,’ joined Jo Limbo and Tiffany Fieken on a panel that discussed the various dangers and problems associated with human trafficking at Pacific University’s Taylor-Meade Performing Arts Center Feb. 18. Brianna Myers was excited to explore the world. Having just turned 18, the Clark County, Wash., native wanted to get out and have real-world experiences, do grown-up things and eventually attend medical school to become a nurse. Then Myers met Nick, a man who promised to help her achieve her dreams. In Myers’ mind, he became the only person who understood her, who treated her like an adult and who took her dreams seriously. It was fairly easy for Nick to convince her that together they could take on the world, Myers said. “He validated my feelings and ideas — told me we’ll get there together,” she said. 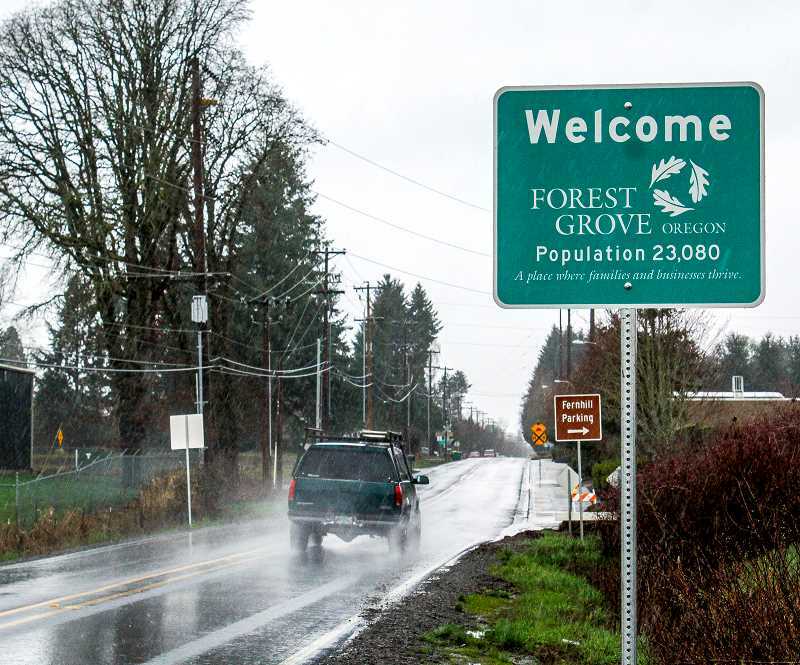 Forest Grove City Council members agreed to commit more than $2 million in public money to a $15 million project that most of them believe will revitalize Forest Grove’s business district. In three separate 5-1 votes Monday night, city council members — acting as the Urban Renewal Agency Board of Directors — entered into a financial agreement to sell the 1.5-acre Times-Litho site to Tokola Properties and also created a development agreement between Tokola and the urban renewal board.